Surrounded by beautiful ridgelines, living in Ladera ranch is like being on a perpetual family vacation. This tight-knit community is amenity-rich and is woven together with numerous parks and trails. Ladera Ranch real estate and homes for sale consist of single family homes, condominiums, townhomes and retirement facilities. 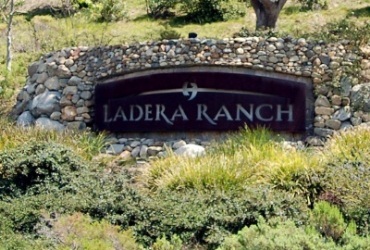 Officially, Ladera Ranch is an unincorporated planned community. It is found in the southern section of Orange County, near the cities of San Juan Capistrano, Rancho Santa Margarita, and Mission Viejo. As a well-planned community, Ladera Ranch has introduced a number of special features that set it apart from most others. In Ladera Ranch, for example, the planners thought well ahead and implemented effective speed-reducing measures on a large number of roads used in the area. Residents will find that roundabouts are commonplace at many smaller or less-utilized intersections. In addition, the street widths of Ladera Ranch's smaller residential roads are uniformly narrow. In addition, aesthetics have not gone unnoticed. Beautifully landscaped street medians are also very common in Ladera Ranch. 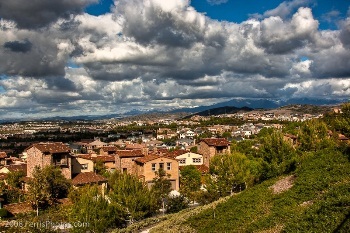 In addition, there is one very impressive gated community in Ladera Ranch called Covenant Hills village. This exclusive community is closed to the general public, but the first-rate facilities are accessible to all card-carrying residents of Ladera Ranch. Covenant Hills has been ranked at the very top of the list of highest-income locations in the United States. There are no other gated villages in the Ladera Ranch community. The majority of Ladera Ranch real estate can be found in approximately nine villages interspersed throughout the area. Each of these villages consists of ten or more neighborhoods, offering numerous attractive tracts of attached and detached housing for sale. With a variety in architecture, ranging from Spanish Revival to Colonial, you're sure to find a home with a style and personality that matches your own in Ladera Ranch. One of the ways that Ladera Ranch maintains its lovely sense of continuity is by allowing one individual builder to create the homes in each specific neighborhood. Out of the nine villages, five of them have clubhouses that are designed specifically to follow the theme of the main architecture style that has been highlighted in that particular village. 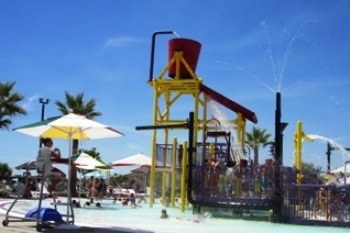 In addition, residents will find numerous playgrounds, parks, swimming pools, and other open areas inside each village. As well as the various clubhouses interspersed throughout Ladera Ranch, the community enjoys a private-access water park, an impressive skate park, 18 community parks, a dog park, six "plunges" (which are smaller neighborhood swimming pools that are unconnected to a clubhouse), and countless "pocket parks"--these are greenbelts and additional miles of hiking trails that range from the Ladera Ranch communities all the way to Dohini Beach. The hiking trails have their main starting point at the renowned 'Vista Toscana' estate in the eastern section of the Covenant Hills village. Families can take a stroll down one of the countless paths to a playground, picnic and barbeque areas-perfect for a Sunday family gathering. For families with athletes among the crew, Ladera Ranch offers the Cox Sports Park, which is part of the County of Orange park system. The sports park is privately maintained and managed locally through the Ladera Ranch Maintenance Corporation (LARMAC). The Cox Sports Park includes five lighted sports fields. Two of these fields are designed for softball, with one soccer overlay. Two additional fields were created for baseball, with two soccer overlays. In addition, there are two more soccer-specific fields, one of which is an unlighted practice field. Cox Sports Park offers amenities for family members and friends attending sporting events as well, including a snack bar and picnic tables. For a complete list of Ladera Ranch and Covenant Hills amenities, visit our Ladera Ranch Amenities page. The Ladera Ranch community is part of the Capistrano Unified School District (CUSD). In fact, a branch of the Orange County Public Library can be found directly on the campus of Ladera Ranch School. The excellent public elementary schools in the area are Chaparral Elementary and Oso Grande Elementary. The Ladera Ranch School offers both an elementary school and a middle school, found on the same campus location. This can be a bonus for families with a combination of older and younger children. As evidence of the high quality of elementary education in Ladera Ranch, Chaparral Elementary School was selected for the "California Distinguished School Award" in 2004 and 2008. 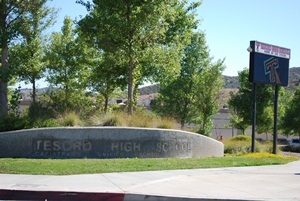 The newer Ladera Ranch School, since its opening in 2004, also was selected for the "California Distinguished School Award" in 2007. Private school options are also available in Ladera Ranch, with the Stoneybrooke Christian School offering K-8 education. High school students in Ladera Ranch will attend either San Juan Hills High Schoolin San Juan Capistrano, or Tesoro High School in Rancho Santa Margarita, depending on where in the community they reside. Additional educational opportunities available in Ladera Ranch also include the Mathnasium Learning Center, which has garnished awards from several community organizations for the excellent supplemental education services they provide. Mathnasium's professionals were even voted "Best Educational Staff" in 2009. Educational opportunities are also available for the Ladera Ranch community's adult population, as residents find themselves only a few minutes away from both a large community college--Saddleback College in nearby Mission Viejo--and a beautiful private university--Soka University of America in Aliso Viejo. Other programs at University of California at Irvine and California State University at Fullerton are also not far removed from Ladera Ranch. Community education and intriguing activities abound in Ladera Ranch as well. The community provides classes in almost any active pastime imaginable, including Tai Chi, Yoga, Tennis, Swimming Lessons, Lacrosse, Pilates, and numerous other offerings. In addition, residents are able to engage themselves in art classes, guitar lessons, acting classes and other pursuits available for their enjoyment. A striking number of non-profit and volunteer organizations also register a strong presence in the highly involved community of Ladera Ranch. For further information or assistance regarding Ladera Ranch homes for sale and properties throughout Ladera Ranch, please contact us or fill out the form below!